Standing on a patch of land scattered with vegetation at Adi Hosahalli near Nelamangala in Bengaluru Rural District, it is hard to gauge that the land was once a lakebed. 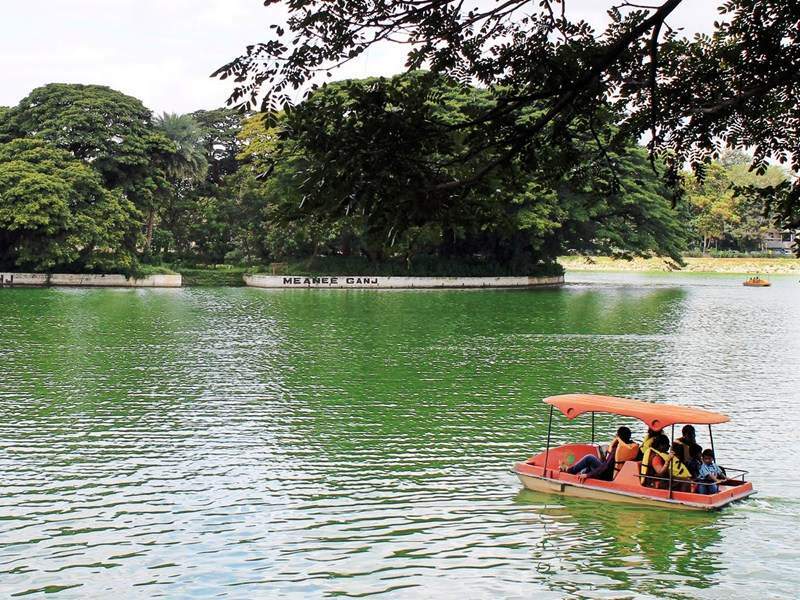 BENGALURU: Standing on a patch of land scattered with vegetation at Adi Hosahalli near Nelamangala in Bengaluru Rural District, it is hard to gauge that the land was once a lakebed. The banks of the 50-acre lake are six feet high, indicating that it held considerable water earlier. “Twenty-five years ago, the lake was filled to the brim, and excess water spread to the surrounding land. Since then, the water level in the lake has reduced significantly. Now there are only puddles during the rainy season,” said Lingaiah of the village. Scenes around the lake are set to change. The River Rejuvenation Project of Art of Living (AOL) has kindled hope among locals, who suffer from water shortage. If all goes well, the water body will retain its old glory soon. The project has been taken up using donations and funds under National Rural Employment Guarantee Act. At Adi Hosahalli and other villages, work has begun to improve the waterholding capacity in a small area in the lakebed. A water pool reinforced by boulders is at the centre of the lakebed, where there is some water despite dry conditions around. Work has also started along the lake’s feeder streams. Boulder checks and recharge wells have been built close to each other to boost groundwater recharge. Dr Y Lingaraju, one of the key advisors of AOL’s river rejuvenation projects, said bringing lakes back to life will ultimately help in improving the condition of rivers. “In the past, several lakes were scattered along the command area of a river. They also served as water sources for it. However, with environmental degradation, width and flow of rivers have reduced. Improving the lakes will eventually help in reviving the river,” he said.